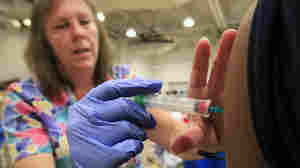 August 3, 2012  A study from Australia finds that the current vaccine for whooping cough wanes more quickly than expected, which may be helping to fuel the epidemic that's been plaguing the West Coast of the U.S.
June 11, 2012  Some 338 people have been infected with whooping cough in Oregon this year. But that's just a small fraction of the number of cases the state of Washington is reporting. Health experts say the booster shot is not 100 percent effective at preventing the disease, but people who have it are far less likely to get sick. 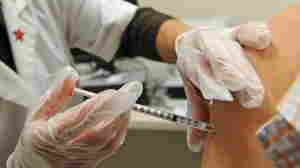 May 10, 2012  About 1 in 5 infants who get whooping cough will get pneumonia, and in some cases die. In Washington state, confirmed cases are 10 times as high as they were last year.